Senator Elizabeth Warren made headlines this week when she said that it’s time to get rid of the electoral college. She’s 100% correct. The electoral college has outlived its usefulness, and it actually undermines the voting power of people in states with smaller populations. Ring of Fire’s Farron Cousins examines the arguments that right wingers are using to defend the electoral college and explains why they are all incorrect. 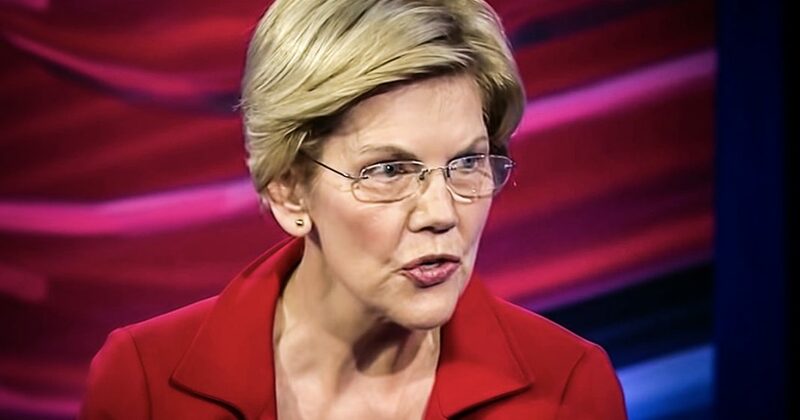 On Monday evening, Senator Elizabeth Warren did her town hall with CNN where she brought up the idea of abolishing the electoral college. She said, this is a plan that I think has merit and I think we should pursue it, and she’s absolutely right. The electoral colleges usefulness in this country, if it ever even had usefulness died out a long time ago. Consider the fact that four out of the last five presidential elections, the Democratic candidate won the popular vote. Yet they only won the presidency twice out of those five elections for time winners only two times getting the prize. Does that seem right? Does that seem like the characteristic of a healthy country to you were the person who didn’t actually, when the person that most people didn’t want to be president somehow became president? This is not a matter of Democrats versus Republicans and Democrats are mad that we didn’t get to win because the electoral college, that’s not what this is about. What this is about is making sure that every vote in this country matters. Because right now with the electoral college, it doesn’t your vote, depending on where you live, doesn’t matter if you live at a high population swing state, you matter. If you live in Wyoming, you’re vote doesn’t matter at all. You’re basically just as well sending home and not voting. And I hate to say that I don’t want people to not vote, but that’s what the electoral college does. Why would we fight over your three electoral votes that aren’t really going to do anything when we could be fighting over the 27 electoral votes down here in this swing state, Florida, that’s a no brainer to me. Or you change it to just a popular vote and suddenly your vote in Wyoming is worth the same amount as a guys vote down here in Florida. It’s worth the same amount of somebody’s vote in Texas or California. Yeah, they have bigger overall populations, but suddenly your vote carries the same weight as theirs. Instead of having to put your weight as a state against the weight of a California cause you’re never going to win that one. You never going to win against Texas or New York or Florida or Ohio or Pennsylvania. Removing the electoral college makes everybody’s vote matter. It would actually incentivize candidates to go to areas where they previously would not have gone. You know, we typically don’t see Democrats coming down and campaigning and Alabama or Mississippi, but suddenly, you know, you got 30 40% of the population there likes Democrats. Suddenly they’ve got to fight for those 30 40% and they’re going to make trips to places they’ve never been before. Same thing with Republicans. You know, typically they’ll go to upstate New York, but they’re not going to campaign down there in the city. Oh, that liberal bastion of uh, you know, craziness. No, suddenly they have to, again, Wyoming, Nebraska typically, not always, but typically you guys kind of get overlooked. You’re, you’re what they call the flyover country. Suddenly they’ve got to go out there and fight for your votes. And what’s ironic here is that the biggest cry from the Republican’s right now who oppose this idea is that, oh well then they won’t campaign in the small states. They’ll only go to the big states. What? That’s the dumbest thing I’ve ever heard. I don’t even understand how you can twist your brain to make that kind of logic. The swing states, the big states, the high population states suddenly aren’t as important. It’s everybody’s vote. They will be going to places where they typically would not, both Democrats and Republicans winning over voters that in the past they wouldn’t have even tried to win over there fighting for your vote at this point, not just the electoral votes of your state. Things get a lot more real when you have to reach every individual person, not just a majority of somebody in one particular area. This would be a benefit for this country. It would bring more accountability, more honesty, more integrity, and it would make sure that every single American citizens vote counted. I don’t see how anyone in their right mind could oppose this plan.